One grey dismal day, Janine Marsh was on a trip to northern France to pick up some cheap wine. She returned to England a few hours later having put in an offer on a rundown old barn in the rural Seven Valleys area of Pas de Calais. This was not something she'd expected or planned for. 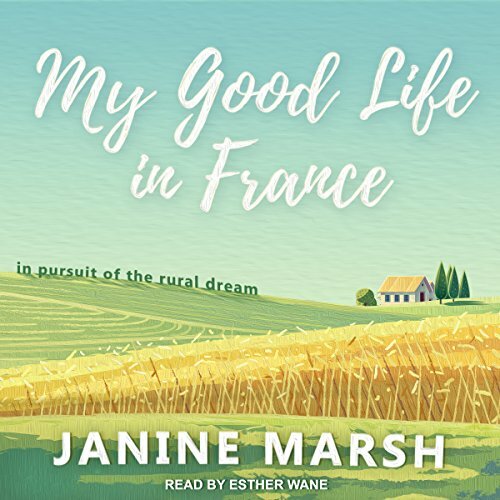 Janine eventually gave up her job in London to move with her husband to live the good life in France. Or so she hoped. While getting to grips with the locals and la vie Française, and renovating her dilapidated new house, a building lacking the comforts of mains drainage, heating, or proper rooms, and with little money and less of a clue, she started to realize there was lot more to her new home than she could ever have imagined. Ten years ago, Janine Marsh decided to leave her corporate life behind to fix up a run-down barn in northern France. This is the true story of her rollercoaster ride, in many ways a love story, with her sharp observations on the very different way of life, culture, and etiquette of France. From her early struggles and homesickness through personal tragedy, to her attempts to become self-sufficient and to breed "the fattest chickens in the village", Janine learned that there was more to her new home than she could ever have imagined.